Whether it’s teaching second graders or seniors in high school, First National Bank (FNB) in Staunton takes financial literacy seriously, but also knows that it needs to be fun for the children. FNB partnered with EverFi earlier this year to bring an interactive financial management program to local students at no cost to the schools. 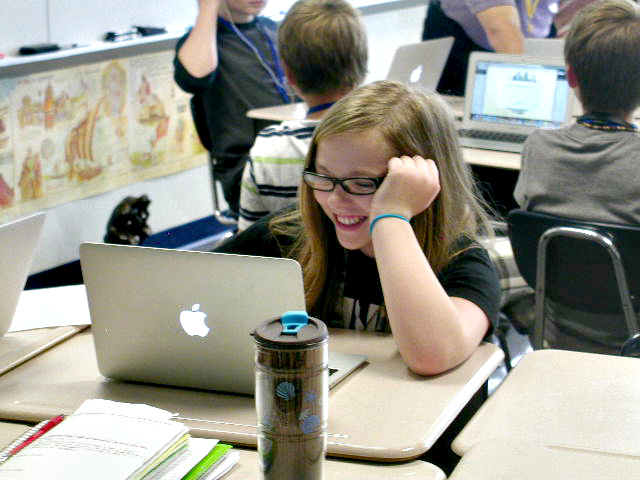 This fun, web-based program uses the latest in new media technology –simulations, avatars, and gaming – to bring complex financial concepts to life for today’s digital generation. Through this platform, students become certified in hundreds of topics in personal finance, allowing them to become more informed, responsible citizens. Four schools in FNB’s communities used the program earlier this year and a fifth school is planning to utilize the program in the fall semester. Outside of the EverFi program, FNB also participated in a national campaign for youth that focuses on saving strategies. FNB is proud to give back to its communities through these programs and looks forward to continuing its financial lessons in more schools. 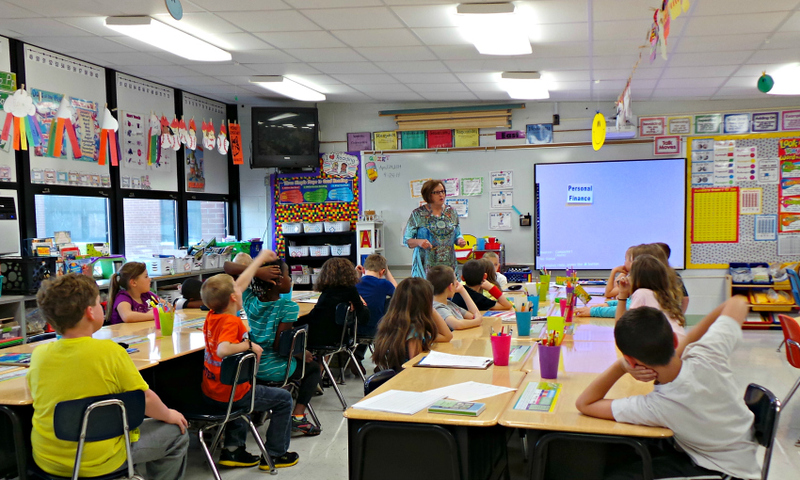 FNB employee Sharon Waterman talks to elementary students at Midway Elementary School. Throughout the month of August, we’ll be posting regular posts highlighting financial literacy information, including community banks who are active in their local communities’ financial literacy programs. Have a story to share? Reach out to either Audrey Wright-Cipriano at audrey.cipriano@icba.org or Jessica Wallace at jessica.wallace@icba.org. First National Bank in Staunton’s Vice President and Mt. Olive Branch Manager, Bill Vogt, talks to a consumer education class at a local high school about the importance of becoming financially responsible adults. Check out First National Bank in Staunton‘s Facebook page to see more photos. Aren’t community bankers the best? !